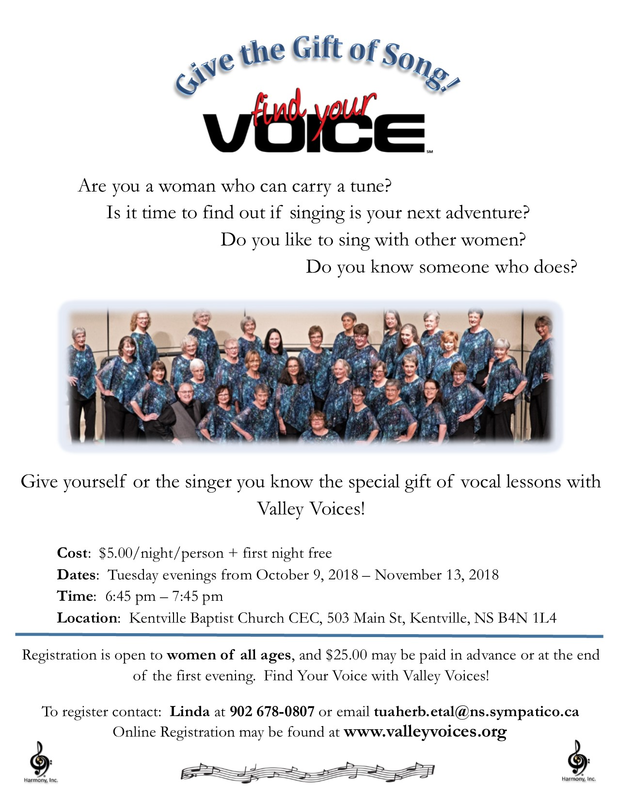 This fall, Valley Voices is pleased to announce that they will be holding a program for women who love to sing called “Find Your Voice”. It is a six week event, one hour per week beginning on Oct 9th at 6:45 pm. Each week during the Find Your Voice Program participants will experience the learning of a brand new song to the chorus and will be provided with weekly music education lessons in Vocal Production and Performance. Registration is $5/person/evening with the First evening Free!